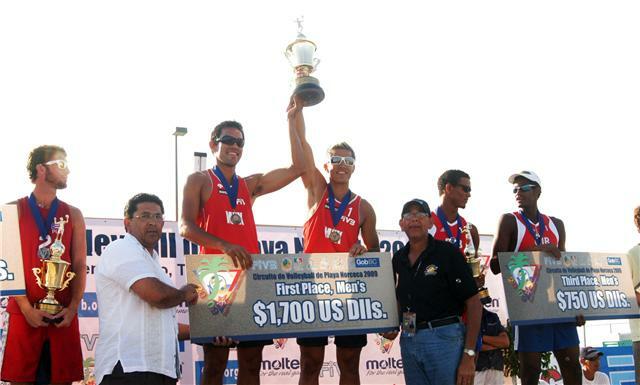 TIJUANA, Baja California, September 27, 2009 � Mexicans Bibiana Candelas and Mayra Garcia in the women�s division and Juan Virgen and Aldo Miramontes in the men�s bracket won the gold medals at the Baja California Beach Volleyball Tournament, the fifth leg of the 2009 NORCECA Circuit. TIJUANA, Baja California, September 27, 2009 � The Mexican representatives continued achieving success at the Baja California Beach Volleyball Tournament and reached the semi final round of the competition in both genders. 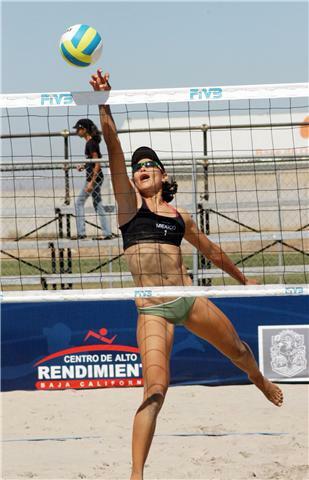 TIJUANA, Baja California, September 25, 2009 � Mexican women�s teams of Bibi Candelas-Mayra Garc�a and Diana Estrada-Martha Revueltas won their three matches on Friday�s opening day action of the Baja California Beach Volleyball Tournament, the fifth stop of the 2009 NORCECA Circuit. In the men�s side the tandem of Mexican Juan Virgen-Aldo Miramontes, and Canadians Ahren Cadieux-Martin Reader and Daniel Dearing-Chaim Schalk were victorious in their two matches. TIJUANA, Baja California, September 25, 2009 � Mexicans Mayra Garcia and Bibiana Candelas in the women�s side and Juan Virgen and Aldo Miramontes in the men�s bracket lead the local teams participating in the Baja California Beach Volleyball tournament, the fifth stop of the 2009 NORCECA Beach Volleyball Circuit.